A Bangor Hydro-Electric Co. power transmission line crosses the Down East Sunrise Trail in Franklin. It started with conversations, then a statement of cooperation. We’re pleased to see the governors of the six New England states have taken their pledge to jointly tackle regional energy issues one step further. With the agreement they made public Thursday, the governors — five Democrats and one Republican — started to broach the specifics of introducing more natural gas to a region that is often cut off from the benefits of America’s natural gas revolution. And they’re at the start of deciding how New England should move increasing amounts of clean and renewable energy from the source to the population centers with a growing demand for it. It’s clear New England has major work to do on the energy front. The region’s six states need to work together to address these critical issues. As much as we don’t want an energy future dependent on fossil fuels, we’d prefer a future with natural gas to a future of reliance on coal and oil. Natural gas power plants emit less carbon dioxide and fewer nitrogen oxides than coal- and oil-fired plants. Gas plants, especially newer ones, can fire up to full capacity and shift down to less-than-full capacity more quickly, operating more efficiently than their coal- and oil-powered predecessors. New England is at a disadvantage when it comes to bringing the fuel into the region. A limited pipeline infrastructure easily becomes constrained on days when gas demand is high, and that causes gas prices — and electricity prices by extension — to skyrocket, especially in comparison with much of the rest of the country. It also causes New England’s electricity market to abandon gas in the short term in favor of coal and oil. On Thursday, for example, when temperatures hovered around zero, three-quarters of the region’s natural gas electricity generation was shut off. The construction of new pipeline capacity funded by the ratepayers of all six New England states, with the new capacity devoted strictly to lowering electricity costs, can ease natural gas shortages and start to bring the region’s gas prices more in line with prices elsewhere in the United States. While the region’s governors have directed electric grid operator ISO New England to subscribe to 600 million cubic feet per day of pipeline capacity — not a full pipeline on its own — we would like to see that number change according to need, so the region’s ratepayers see the maximum benefit. Whether the region takes major steps to adapt its energy infrastructure or not, New England’s energy picture will change. In the coming years, the region stands to lose much of its capacity to generate electricity from nuclear energy, coal and oil as plants retire. A substitute energy source, or multiple sources, will need to take its place. Existing laws on the books throughout the region will also require the region’s utilities to procure more and more of their power from renewable resources. That means transmission will be needed to bring the power to population centers in New England. 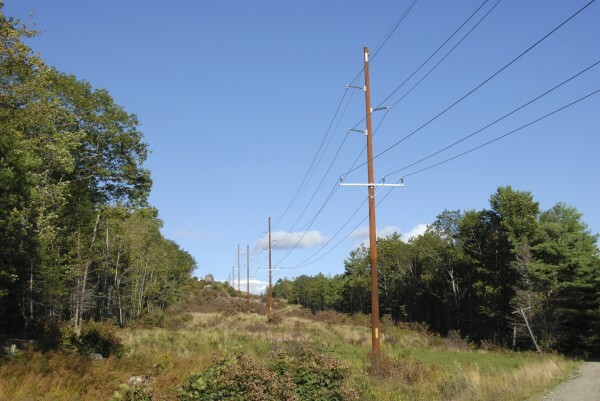 The regional energy agreement doesn’t take steps to greenlight one transmission project or another, but the acknowledgment that more transmission is coming is an acknowledgment that Maine’s future is likely one as a renewable energy producer and exporter.